Home » Blog » Who makes up “car-free” households? Who makes up “car-free” households? New Republic reports what we’ve been hearing for a while now, millennials (those born after 1981) are increasingly abandoning cars for bikes, public transit, and car-share opportunities. 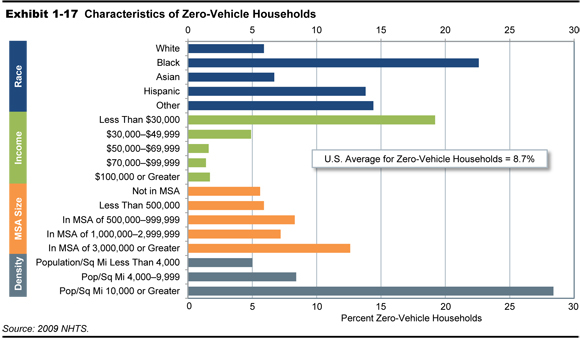 When you zoom out and look at the nation’s zero-vehicle households as a whole, the picture is a good reminder that the language of “car-free” that we sometimes use in bike advocacy can mask the fact that it’s really only a “choice” for some. Rather than “car-free” being a choice, it’s a decision based on economic necessity.